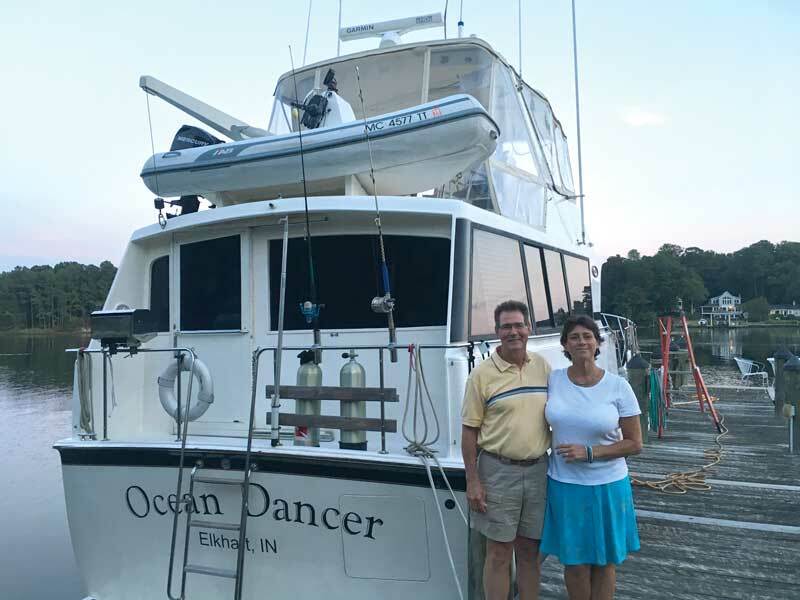 For many boaters, completing the 6000-mile Great Loop is a once-in-a-lifetime accomplishment, but once wasn’t enough for Bill and Kellirae Adcock, who are halfway through their second trip around the famed Loop, which circumnavigates the eastern half of the U.S.
Bill and Kellirae with Ocean Dancer. After completing the Loop, the couple, who are Michigan residents, was only home for about 30 days before they headed back to the boat and started out again. 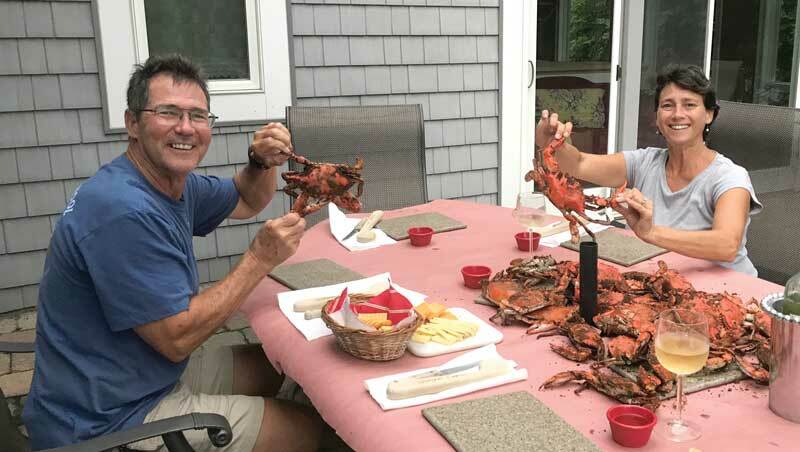 We caught up with them in July, while they were staying at Solomons Island Yacht Club (SIYC), while spending the summer exploring the Chesapeake Bay before attending a local wedding (Kellirae was raised in Baltimore and still has family in the area). Bill explains how the dream began. “In the late 1980s I found a little, quarter-column write-up about the Great Loop,” he recalls. “I tore out that little piece of paper, and I saved it. At the time, we owned a 26-foot Chris-Craft, a great boat, but not one for the Loop. Time passed, and eventually computers and Google made it easier to learn about the entire Great Loop route. With easier access to information, we began making a plan. After attending a family wedding in Baltimore this October, the couple plans to head south on the Bay, then into the ICW or open ocean (depending on weather) and on to the Bahamas for the winter. After initially jumping off from the Florida Keys during their first trip around the Loop, they have found that they really love exploring the Bahamas while it’s colder up north. Loopers Bill and Kellirae Adcock enjoy crabs in Solomons Island. For more information, visit the America's Great Loop Cruiser's Association.